Layer is a chair made by Sohyun Yun that allows the owner to customize the piece to become a unique work of functional art. 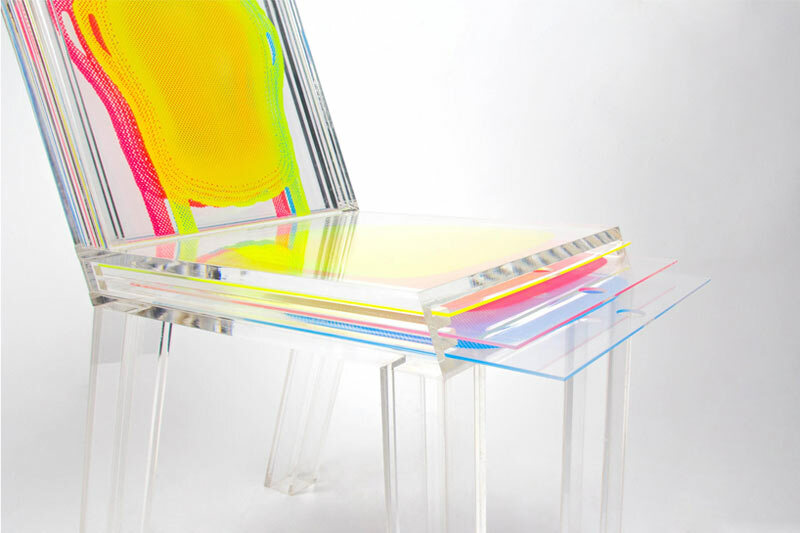 The chair is made of clear acrylic with spaces in the seat and back, allowing up to three layers of printed or colored acrylic to be slid in. In today's world of mass consumerism, where people follow trends, this chair allows people to change the look and refresh the feel of the chair without getting rid of it.